Finally recovered from the holidays (except for those pesky top-of-the-cupboard decorations), I’m getting back on track with my children’s book features. I’m also catching up on a little reading, including an entire month’s worth of the Sunday New York Times. 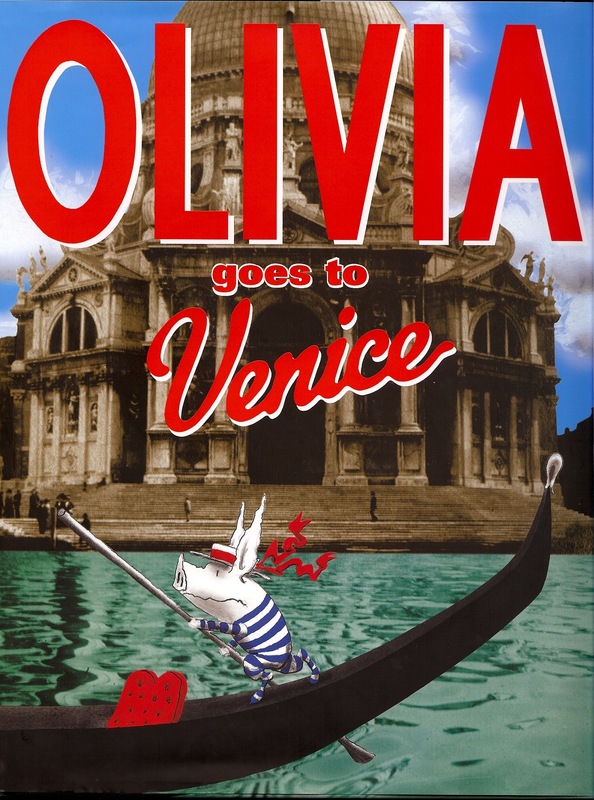 I was surprised to discover this review of “Olivia Goes to Venice” in the January 16 edition of the New York Times Book Review. I have to admit, I had been feeling a tad guilty about my criticisms of Ian Falconer’s most recent title. Especially considering that everything else that had been written about the book after its publication was immediate and unquestioning praise. So, who was I to knock Falconer’s exuberant use of color and photography? I agree. I really prefer the original Olivia and Olivia and the Missing Toy to the others as well. I believe that Falconer’s talent as an illustrator has helped him overcome his less brilliant and clever stories. I believe that he had great ideas with the other titles, but they lacked something….I don’t know how to say it except for I was just left wanting more. But I feel guilty for any less than positive remarks too because I don’t have a bestselling children’s book on the market…yet. 😉 I am a mom and educator. I guess that should count for something!! !